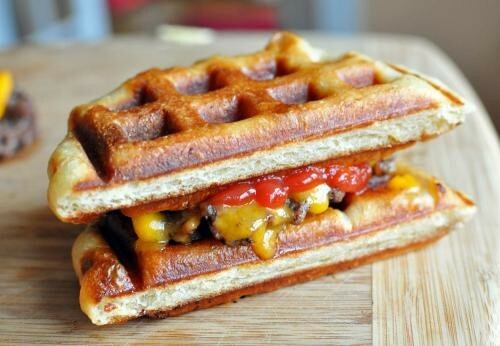 Yes, that's a waffled cheeseburger in the photo. 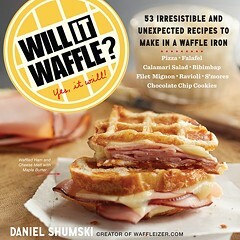 It's as good a way as any to introduce my next blog: Waffleizer. I'll be working alone in my kitchen and with top-notch chefs and bloggers in their kitchens to answer the question "Will it waffle?" So far: Cheeseburgers will waffle. So will bread pudding — twice. That's only the beginning. Waffleizer is just getting started.